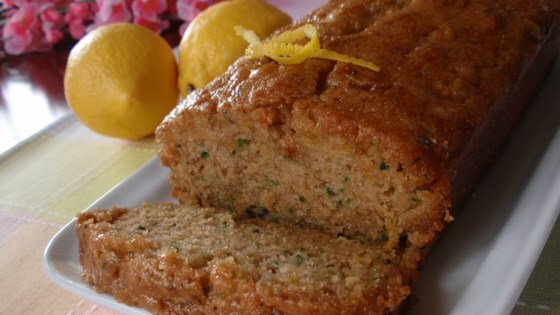 "I thought my mom made the best zucchini bread - until I added lemon! This is a wonderful, light zucchini bread that's not too sweet." Bake this moist zucchini bread with lemon and pistachios in no time! This bread turned out soo good!! It's one of the best I've had, but I did put a little more zucchini in the second batch, and it has a much better flavor!!!! !